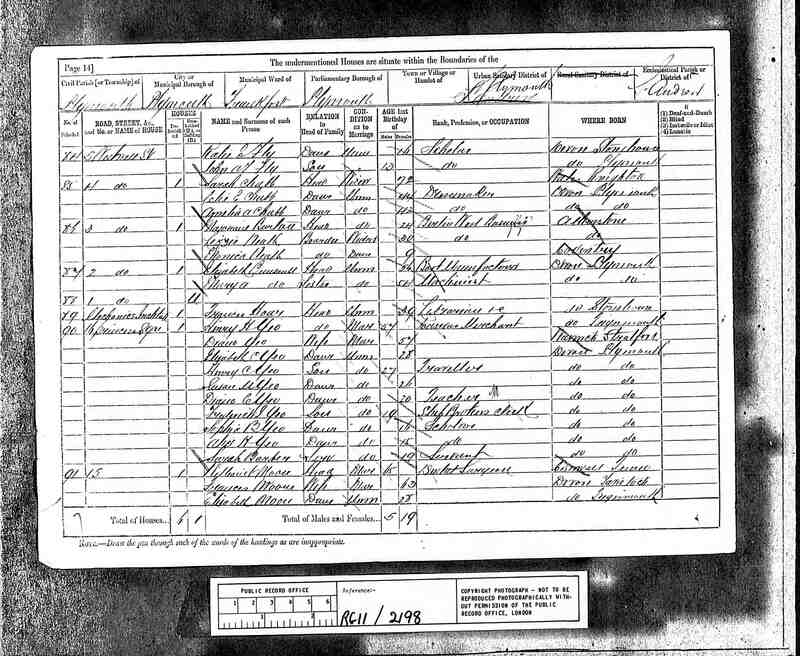 William Yeo, the eldest son of William Yeo & Mary Hart, was born in 1792 and baptized in East Stonehouse on the 18th June 1792, and died Dec 1868 in Teignmouth. He married Susannah Hearder in Tormoham, Torquay, on the 9 th August, 1816.. Susannah was the granddaughter of Gilbert Hearder who at one time was the curate of Haccombe and Cockington. The Hearder family originally came from Teigngrace and were quite wealthy. William & Susannah had eight children. 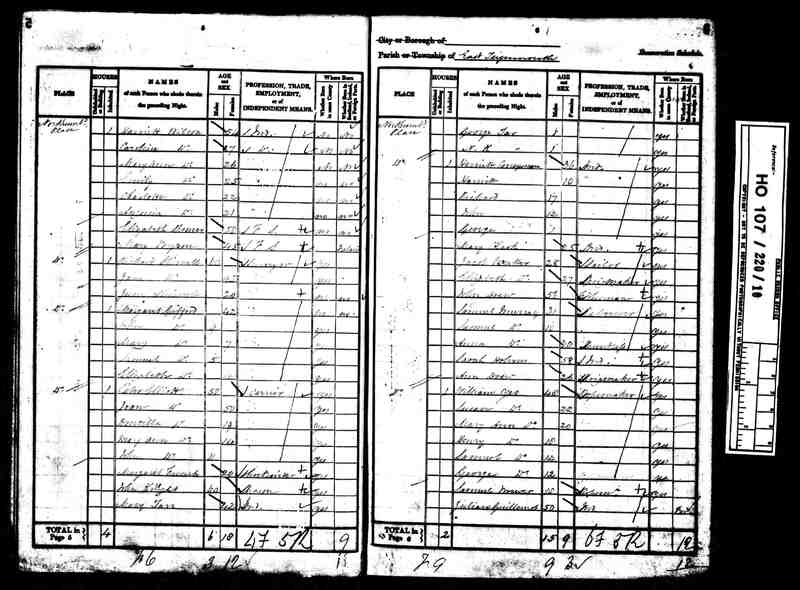 Susannah Hearder , born 1818 in Tormoham, Mary Anne Yeo, born 1819 in Teignmouth, . William Hart born 1821 in Tormoham, Henry Hearder born 1823 in Teignmouth; John Hart Yeo, born 1824 in London, Sarah , born 1825 in Teignmouth., Samuel Hearder , born 1827 in Teignmouth and George , born 1829 in Teignmouth.. Except for John and Susannah, all the chlldren were baptized at Hen Street Baptist Chapel, Bovey Tracey. So like their brother Samuel they were nonconformists. 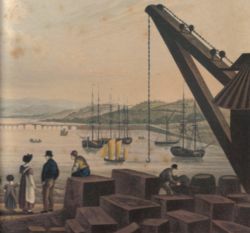 The New Quay at Teignmouth in 1827 with a large crane and blocks of cut granite ready for transshipment. They built up the ropemaking business in Teignmouth during the boom of the Haytor Granite Tramway and Stover Canal. George Templar built the New Quay, in Teignmouth in the early 1820's and Northumberland Place was just behind this busy quay. 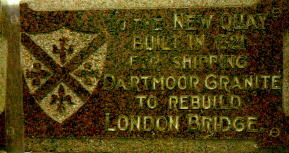 It was during this period that granite was being exported to London for the building of London Bridge and this could have been why John Hart Yeo was born in London. 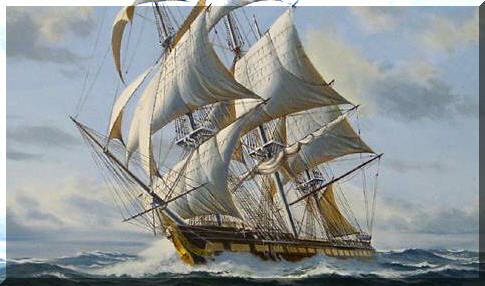 Ropes were in great demand for rigging on the large sailing ships and for the machinery asociated with the cargo. Also clay was stored and transported in bags so would have required a constant supply of these. 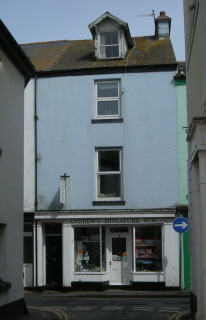 By 1841 they had established the business in Teignmouth and started to expand, as Susannah and son William were living in Brixham, whilst children, Susan, Henry, Samuel, Mary Ann and George were with their father in Northumberland Place. 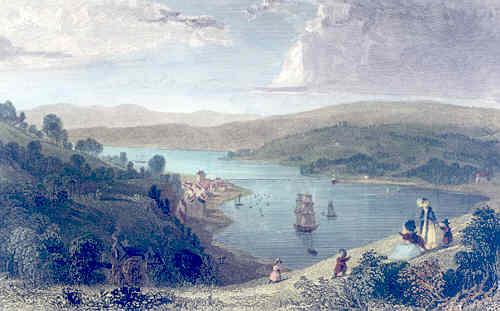 During the 1840s the business really expanded and by 1851 William, Susannah and sons William and Samuel were living in Gibbons Street, Charles, Plymouth and William was a manufacturer of hemp and flax employing 110 men whilst son Henry and daughter Maryann were living in Regent Street, Charles and working for the family firm. John was managing the Brixham branch and was a ropemaker. The firm was known as W. Yeo & Sons. 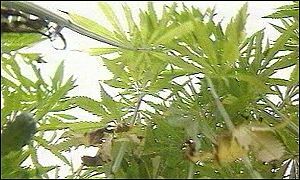 For fabric and rope making , hemp is the longest and strongest fiber known to exist. It naturally resists mildew, rot, ripping, and blends well with other natural fibers. The nets made for the fishery at Newfoundland, as well as for home use, and the sails for shipping of every kind, as well as sacking for hammocks, and all kinds of bags, rope and tarpaulin were made from Flax & Hemp. This manufactory was a great support for poor people: after pressing and beating the materials in mills for that purpose, and combing, and cleaning, it afforded employment in the process of spinning to women, and children, who were paid at the rate of two-pence per pound; they could spin about four pounds a day, amounting to 8d. per daily earnings; besides which the manufacturer paid two or three pence per day, to a child to turn the wheel; it was then twisted, cleansed, and softened for the weaver. The sail cloth was made in pieces of about 40 yards each, yard wide, and worth from 15d to 17d. per yard. Sacks for grain and flour were also made there. Just after this William retired and they moved to Brixham where Susannah died in 1856. William died in Teignmouth in 1868 but was buried with his wife in Brixham. 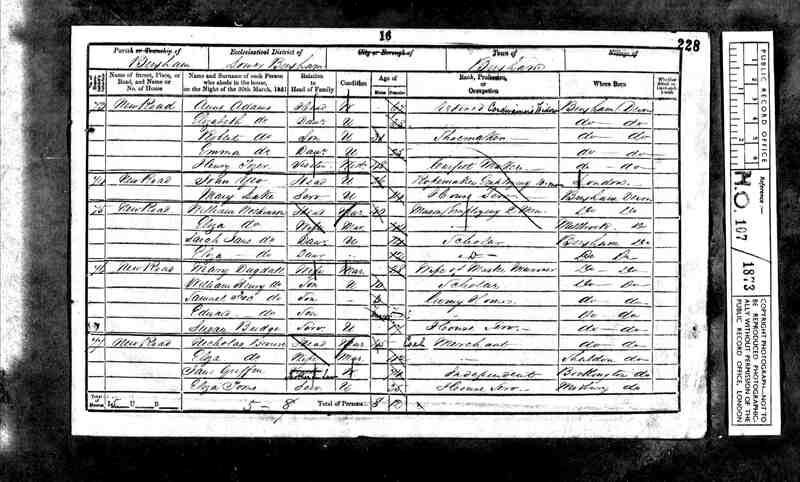 Susannah Hearder Yeo, the eldest daughter married John Beater in 1845 in Teignmouth and their children, Susan Eliza, John William, William Henry, George Collins and Dinah Mary were all born in East Teignmouth. John was a ship broker and Dinah their daughter is mentioned in Emphraim's will. 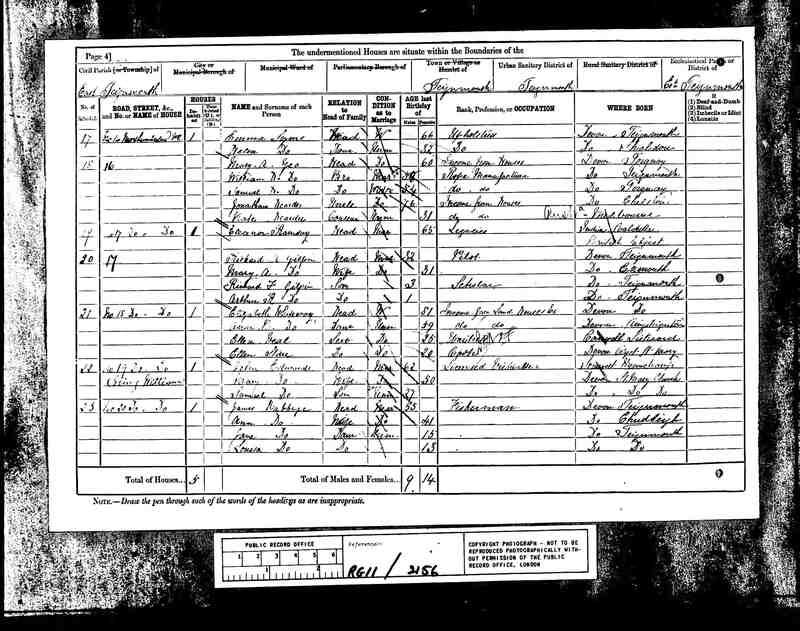 John Hart Yeo in 1861 was living in South Devon Place, Plymouth Charles with his cousin ?, Sarah and her baby son. He was then a ropemake, employing 3 men, 3 apprentices and 4 boys. However, John seems to have been involved in some shady business as in 1862 he was tried at Exeter and transported to Australia for six years. William Hart Yeo married Elizabeth Shillabeer in 1852 in Plymouth and moved back to Teignmouth where in 1861 he was living with his mother in law, and was a rope manufacturer. However by 1871 he had left Elizabeth and was living with his sister in Northumberland Place where he remained until his death in 1888, working as a ropemaker. Mary Ann Yeo never married, but was actively involved in the rope making business. By 1861 she had moved back to Teignmouth and was head of the family home in Northumberland Place, living off of the income of the business and property. In 1881 she put her employment as income from houses. Her Uncle Jonathan Hearder, who was staying with her at the time recorded the same. From the attic windows of Northumberland Place, the view around Teignmouth Docks and up the River Teign must have been awesome with all the large ships sheltering in the bay and the barges sailing down the estuary. The house is directly opposite the New Quay Street, so had clear views of the quay and right up the River Teign. 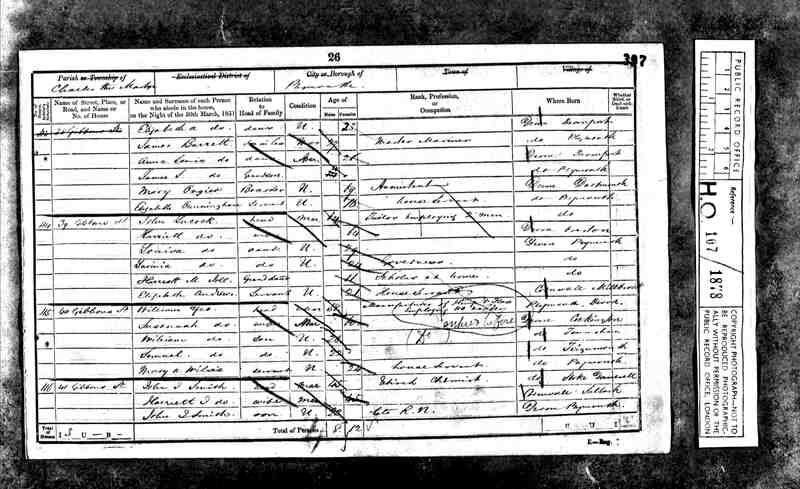 She died in 1892, a spinster on the 30th January, 1892 and probate was granted to George Hearder Yeo, comercial traveller and George Henry Hearder, printer ( her nephews). On the left 15, Northumberland Place facing down towards Shaldon Bridge. Samuel Hearder Yeo took over the Brixham business after he married Lavinia Olver in 1852. They had two children, Mary Ann b 1858 and Caroline Louisa in 1861. Sadly Lavinia died in 1862 which could have been because of a traumatic child birth as little Caroline was born deaf and dumb. Caroline attended the West of England Institution for the Deaf and Dumb in St Leonards, Exeterand Maryann went to live with her Aunt Louisa, Lavinia's sister in Gibbons Street, Plymouth Charles. In 1881 the two girls were staying with their great-aunt, Eliza Hearder at 58, Wolborough Street, Newton Abbot and also there was Louisa. Samuel moved in with his sister, Mary Ann in Teignmouth and remained there until he remarried to Ellen Whitton. 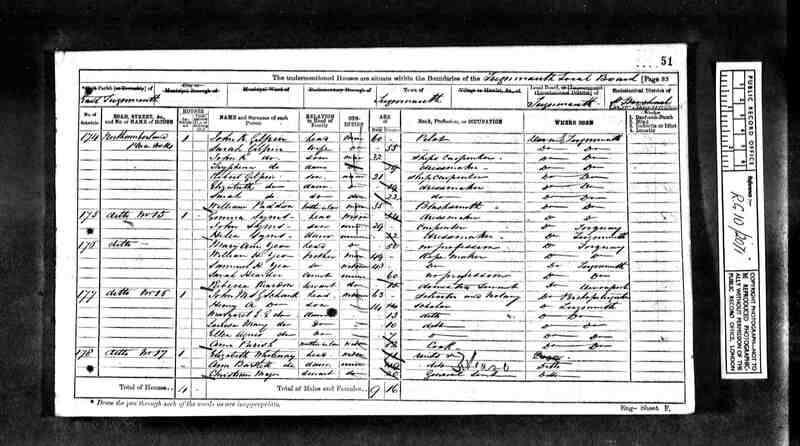 They has a son, Samuel Reginald Yeo, born 1892 in Exeter and he is mentioned in Ephraim's will, but sadly he died young, aged 29, in 1921. Samuel died in 1903 and he was then a timber merchant living in Exeter St David and aged 70. Sarah b. 1825 must have died as a young child as there is no trace of her in the censuses and George died in 1844 and was just 15 years old. Henry Hearder Yeo took over the family business in Plymouth. On the 30th July, 1851 he married Diana Cannings in Stratford on Avon. In 1861 the family were living in Princess Square, Plymouth and this was probably purchased at the same time he made his will. "This is the last will and testament of me Henry Hearder Yeo of Plymouth in the County of Devon, Sail Cloth Manufacturer made and published this third day of August in the year of our Lord one thousand, eight hundred fifty three. Fist I give and devise and bequeath all that my freehold Dwelling house being No 16 Princess Square in the said parish of Plymouth in the said County with its appurtenances and all other my real estate unto my dear wife Diana Yeo for and during the term of her natural life "
So many ropes and sails were needed for the Schooners ! The business had diversified and he was then a sail maker. In 1881 the family were still in Princess Square and Henry was a canvas merchant. By 1891 they had moved to 17, Portland Square in Plymouth St Andrew and Henry was a canvas sack maker and George, his second son was a commercial traveller, obviously selling their wares. Henry died on the 12th September 1896 at Blackdown, Mary Tavy. He was then a retired Sail Cloth Manufacturer. They had nine children, all born in Plymouth, Elizabeth Canning, b. 1853 , Henry Cannings, b. 1854, Susan M Yeo, b. 1855, William Beater b. 1856, George Hearder Yeo, b 1858, Diane C b. 1861, Frederick Jackson, b. 1862, Sophia B b. 1865 and Alice H b. 1866 all born in Plymouth. 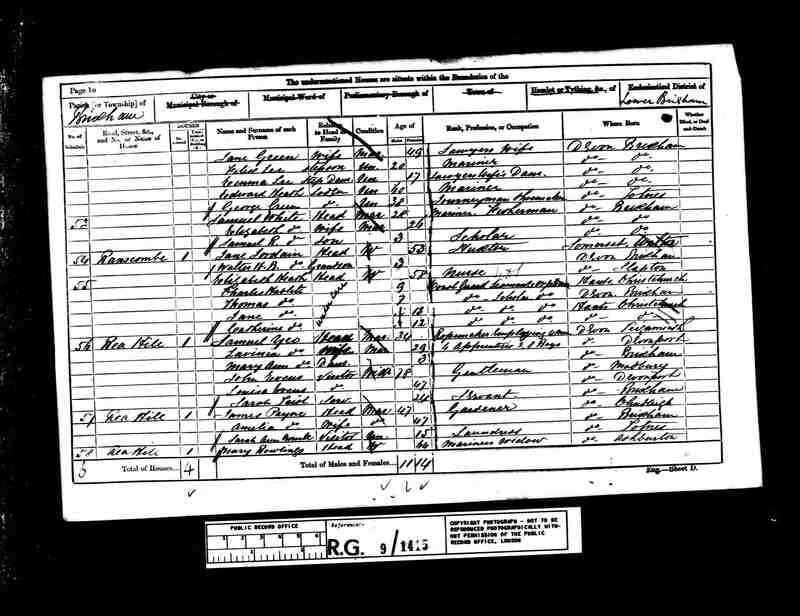 Elizabeth married Frederic Weekes in 1881 in Plymouth. Frederic was a Professor in Music and they had three children and1891 they were living in Plymouth St Andrew. The other four daughters never married and two of them were teachers. After Henry's death, George the only son still unmarried became the head of the household, and in 1901,mother Diana and sisters, Diana, Sophie & Alice were all living at Portland Place and George was still a commercial traveller. Diana died in 1907 and George eventually married in 1913 at the age of 55. He married Grace M Catewell and they had two children, George Henry b. 1913 and Mary Capewell b. 1915 in Bristol. Sadly, George died on December 9th in 1914, and Grace gave birth to Mary on December 19th, just ten days after his death. So his widow was left pregnant, with a one year old son to grieve her husband's death and then to bring them both up without a husband. Their son, George Henry became an officer in the Supply Squadron, and retired from the RAF in 1963. He then studied divinity at Trinity College, Dublin, and was ordained into the Church of Ireland in 1964. and was known as the Reverend G.H. Yeo, MBE, Squadron Leader. His father and grandfather had been lay preachers in the Baptist church during their lifetimes. George Henry died on July 4th, 1989 and his wife, Joan Margaret (nee Buckley) died on November 17th, 2001. They are buried in the same grave in New Galloway, Dumfries & Galloway, Scotland. Henry & Dinah's other two sons, Henry Canning Yeo and Frederick Jackson Yeo had married and left home by 1891. 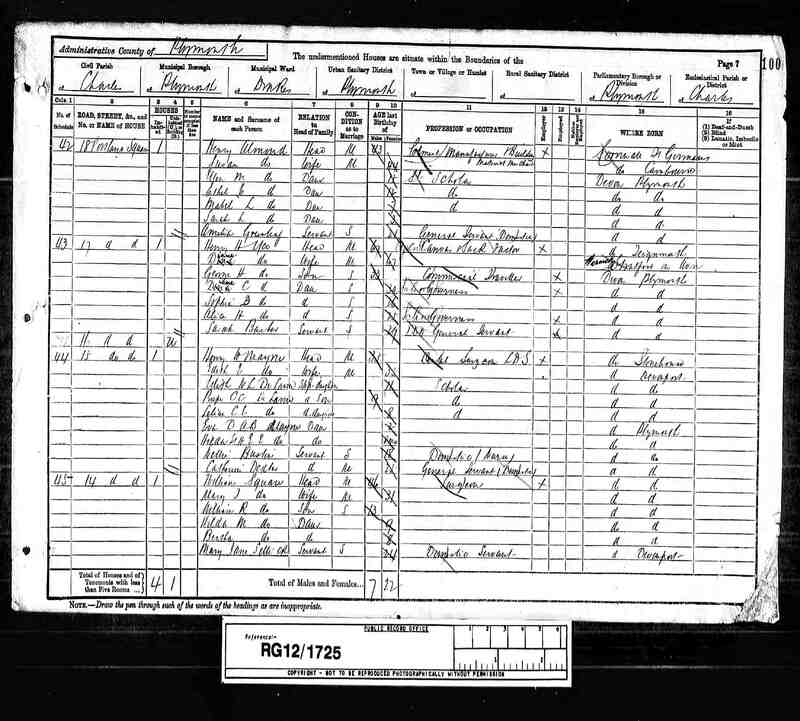 Henry Canning Yeo moved to London and married Emma Rickards in 1889 and in 1891 Henry and Emma were living at 12 Poplars Avenue, Willesden and he was a yarn merchant and corn agent. 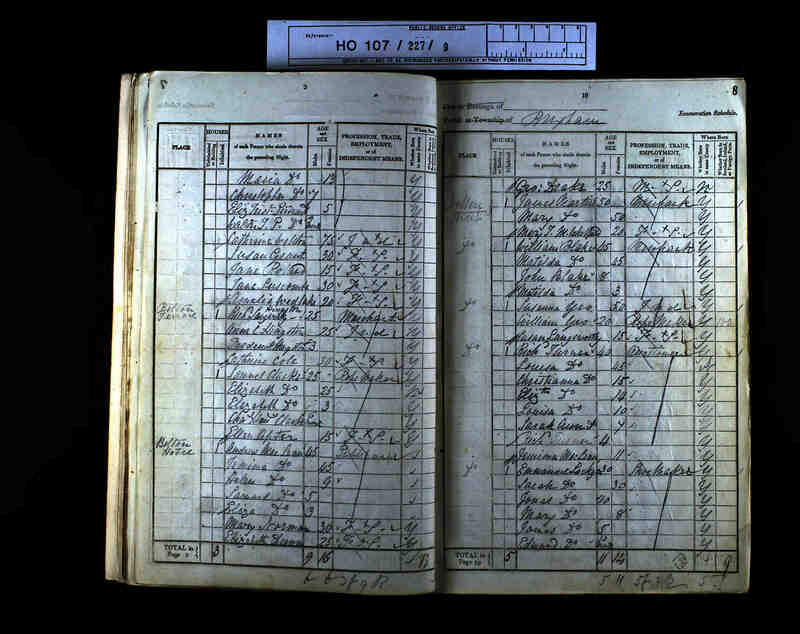 In 1901 he was a jute manufacturer's agent and book keeper Henry left a will when he died in 1925. He was then of Chalgrove, Albert Road,Sutton, Surrey and his effects were worth £5,078. He left everything to Emma as they had no children. Frederick Jackson Yeo married Henrietta Wood in 1887 and they moved to Exeter, where in 1891 Frederick was living in Princess Square, Exeter St Thomas and Frederick was a sack and twine merchant.. By 1901 they had moved to Bristol and were living at "Ben Nevis", Kensington Hill, St Luke, Bristol and Frederick was a sack merchant. 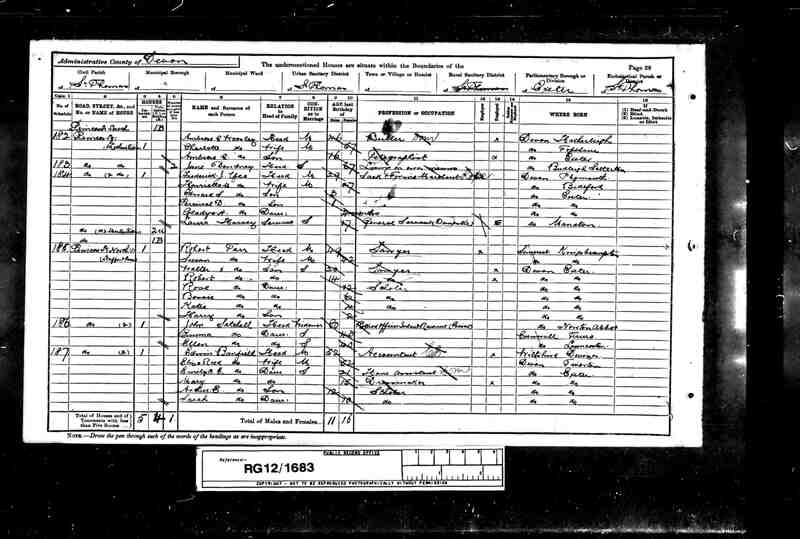 Frederick & Henrietta had eight children, Ewart Stanley, b 1888, Percival Douglas b. 1889, Gladys Hettie b. 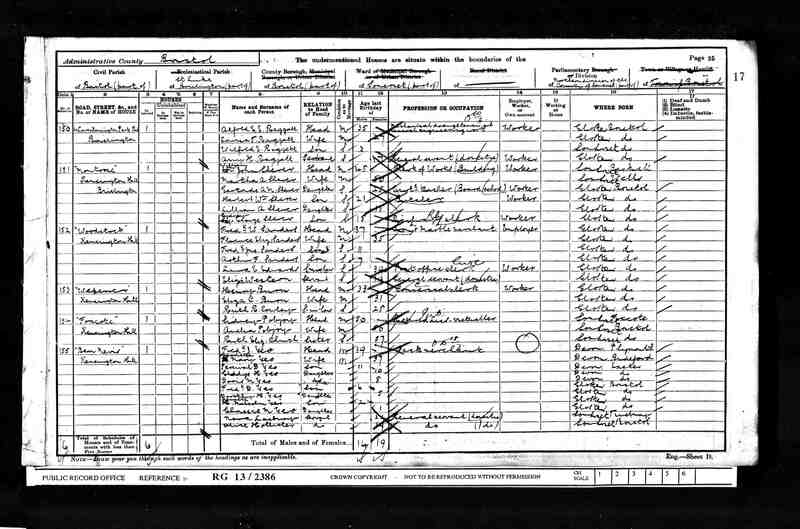 1890 and Doris Maud all born in Exeter. Thenborn in Bristol were Frederick Donald b. 1895, Dorothy Hester b. 1896, Kenneth Malcom b. 1898 and Chrissie M b. 1900. At some point they moved back to Devon as when Henrietta died in 1933 they were living in Tavistoke. This comment comes from his granddaughter, Ann Philippa Rowe, nee Yeo, whose father was Stanley Colston Yeo. My great grandfather, Frederick Jackson Yeo expanded the business into making sails and tents, such as large marquees. The business was called Yeo bros and he sold the business to Paull who retained the Yeo name linked to his own, so the firm became known as Yeo bros. and Paull (Now Yeo Paull, Ltd) and even now at large outdoor events the tents and canvas chairs are stamped with the name Yeo Bros. and Paul. My grandfather. Frederick Donald YEO was a commercial traveller in canvas and tarpaulins and ropes and he worked for a firm called Robin Hood Baler and Binder twines. He travelled around Wales in the 1920s through to the 1950s. Sadly his wife Nellie died in a car accident in November 1950 which he survived relatively unharmed. So the family firm which started with William & Susannah survived for over 100 years, what an achievement !! Had they still been in business they would have enjoyed the revival of the importance of natural materials such as hemp & flax.